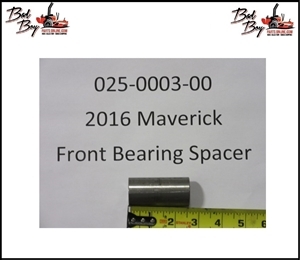 Bearing for Hydro Gear Wheel Motor - Bad Boy Part # 037-3000-00 or 037300000 Double Bearing for Spindle .Fits 2009 Lightning, PUP, AOS, Bad Boy Part# 037-8001-00 or 037800100. 1 3/8 Bearing-Hoosier Wheel. Wheel bearing for any MZ, MZ Magnum, ZT or CZT. 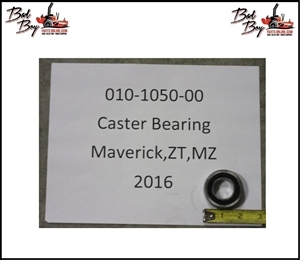 Bad Boy Part# 022-7009-00 or 022700900 MZ Caster Bearing Spacer. MZ front wheel bearing spacer. Fits MZ and MZ Magnum. Bad Boy Part# 025-0005-00 or 025000500 ZT/CZT Caster Bearing Spacer. Bad Boy Part# 025-0004-00 or 025000400.